Newcastle are one of three clubs linked with a move for Arsenal left-back Kieran Gibbs. 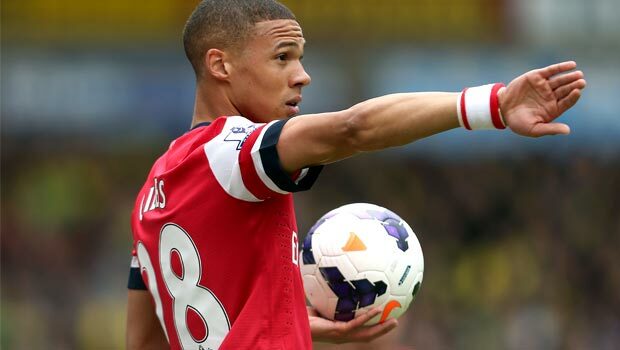 Reports in The Sun newspaper have linked Gibbs with a potential loan exit from the Emirates Stadium. Newcastle, Crystal Palace and Swansea are said to be the three clubs linked with the England international defender. Gibbs, 26, has made 123 appearances in the Arsenal first team, and has scored twice. He has also been capped 10 times by the England national team. It comes as little surprise that Newcastle would be linked with a player of Gibbs’ mould. Having already signed two England internationals this January, it appears as though McClaren is very much looking to establish an English backbone in a side that has, for the most part, comprised of French imports over the past few years. So far this season, Gibbs has made 21 appearances in all competitions for Arsenal, and scored in their North London Derby draw with Spurs in November. But he has fallen behind Nacho Monreal in the pecking order at the Emirates Stadium. Although the purchase of a new left-back should by no means be regarded as our top priority right now, there is no doubting that we could do with some additional quality there. Recent injuries left the team without a recognized left defender for the defeat by Watford. And it was clear that the squad was lacking any sort of depth in that department. Paul Dummett and Massadio Haidara both missed the game with injury, as did Jack Colback, who had filled in at left-back after Dummett left the field injured the previous weekend.